Adorn your ears in style and comfort with these vertical bar earrings. 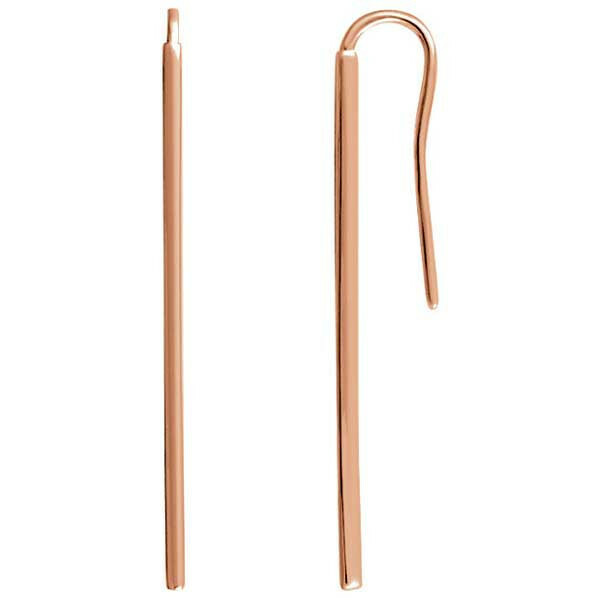 Crafted in 18kt rose gold, they're long and lean, finished with a French wire backing. These earrings are straight-up superb!